We’ve all been there... Days when something goes wrong and we feel down in the dumps or maybe it someone else is having a hard time. When someone we care for is having a bad day, how can we be there for them? 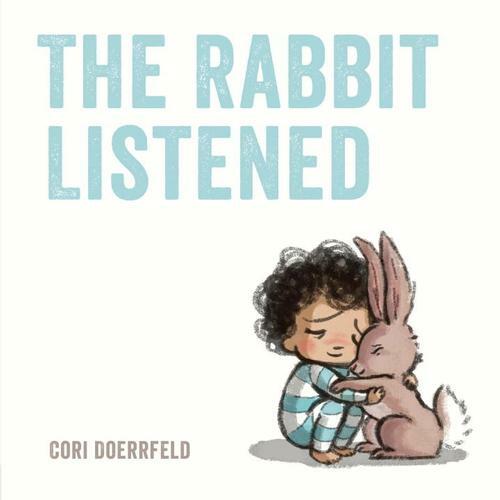 That’s where The Rabbit Listened, written and illustrated by Cori Doerrfeld, comes in. It’s a brand new book and our choice for this installment of Picture Book Highlights, a series where we put the spotlight on a book that has been ordered for all of our libraries. Taylor is having a good day, until something unexpected happens. Now Taylor is sad and all the animals that come by think they know just what to do to help, but nothing they say makes Taylor feel better. Until the rabbit came by and… listened. Being a good listener is an important skill—one that can be easily overlooked. Finding the time to listen and to provide support can be the best way to help someone going through a bad day. And one is never too young to learn!